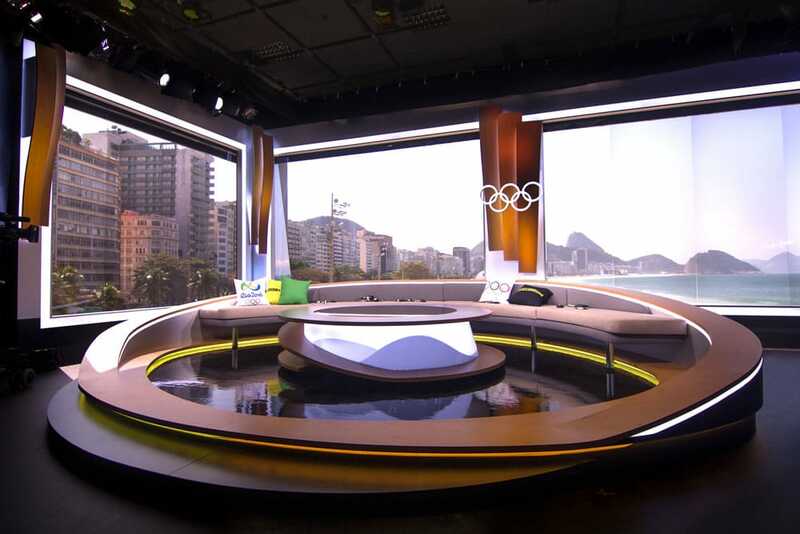 FULL SET DESIGN, CONSTRUCTION AND INSTALLATION FOR ALL MEDIA INCLUDING TV (STUDIO, MOBILE & OUTSIDE BROADCASTING), FILM, THEATRE AND EXHIBITION STANDS. 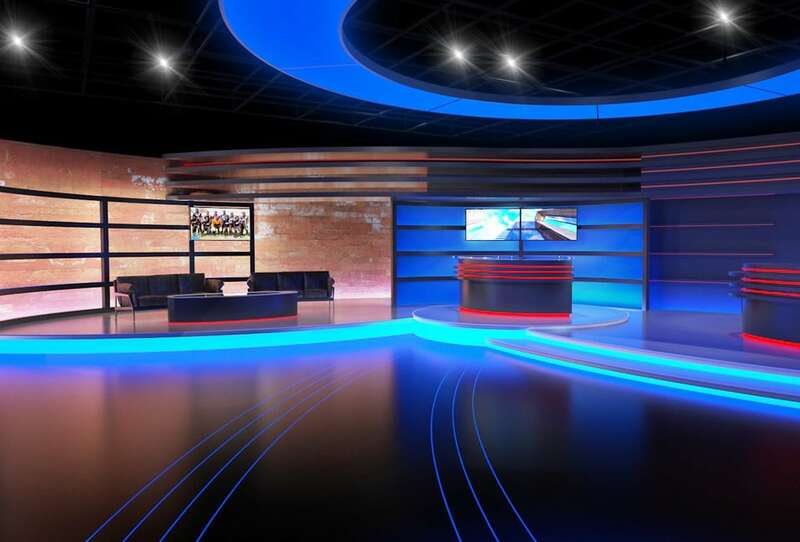 After years of proving ourselves as leading UK and worldwide exhibition stand designers, we now have the capacity to branch out and utilise our skills, experience and most importantly knowledge to offer our brand new TV Studio & Set Design service. 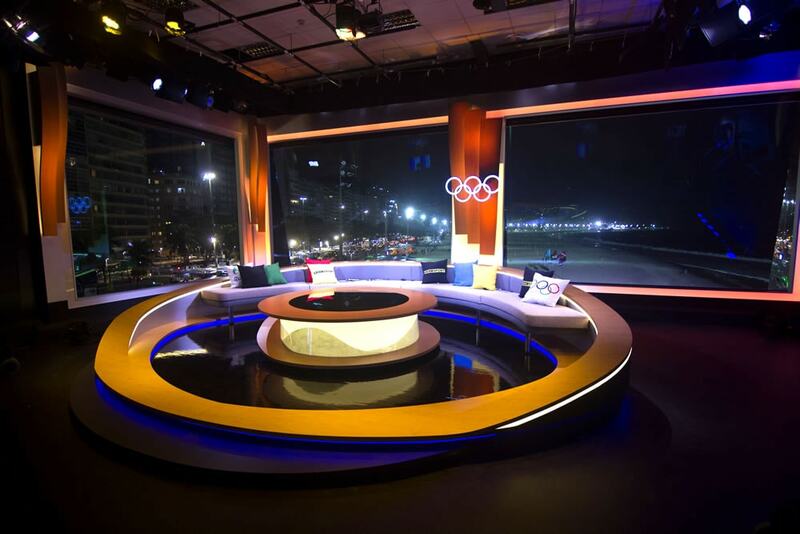 This summer we were in Brazil for the Olympic Games where we constructed the main BBC studio set for reporting on the Olympics both day and night. 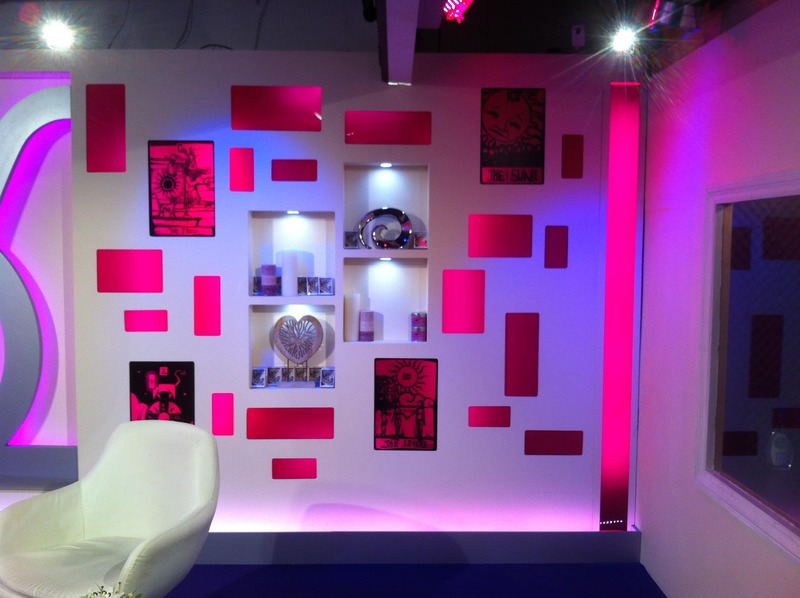 We are a talented and creative team of professionals with over 30 years experience of building and installing film studio sets, interiors, bespoke props and exhibition stands for customers all over the world. We are happy to keep everything in-house from conceptualising design, to finalising the brief to manufacture and even on-site assembly of your set design. We are also happy to work with any existing set designers or production executives you may already have in-house or on commission. We can liaise and manufacture to your exact specifications/designs or if required offer our expert eye to your plans – in all our years we know what will work, what the pit falls with design are and all before the costly mistake of building something that then fails to live up to expectations or requirement – costing money and most importantly time! 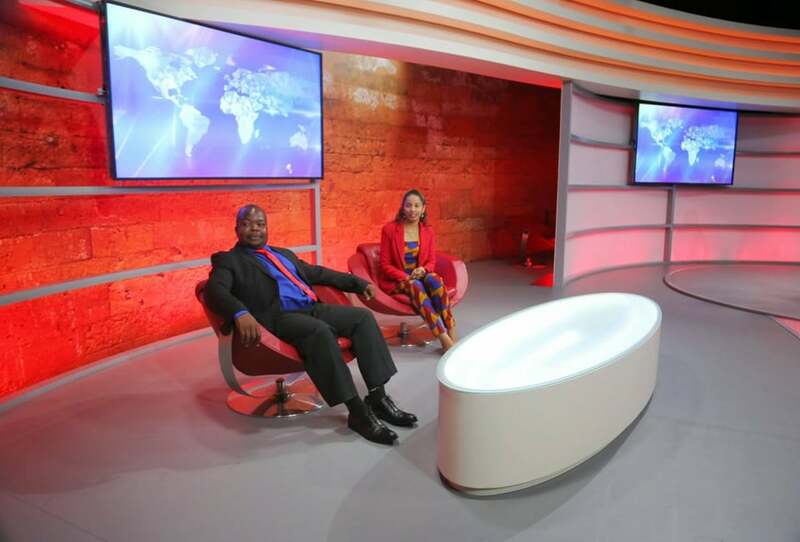 Below is an example from our AZAM TV STUDIO SET, TANZANIA project. 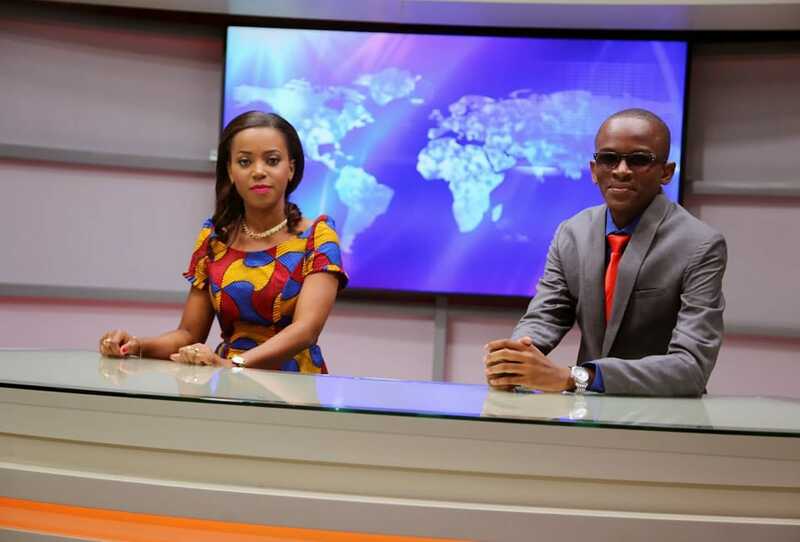 NB: The Azam studio design was by Giordano Design. 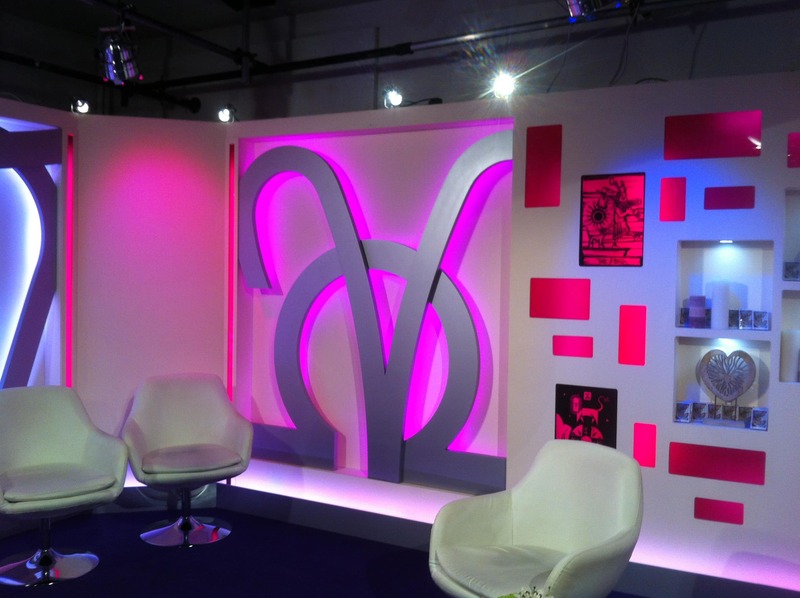 We built four distinctive set areas for Azam TV using the Azam brand logo within the style of the sets. LED lighting was let into the curved walls, floor and ceiling which were DMX controlled. The colours of the studio change moods into day or night time, using clever use of the camera angles. All the walls were curved with recessed video screens and curved metal work. A central curved suspended ceiling feature and curved fascia sections were key to this project. Brick wall graphics were used for the morning show, and an Azam TV logo light box recessed into the floor. 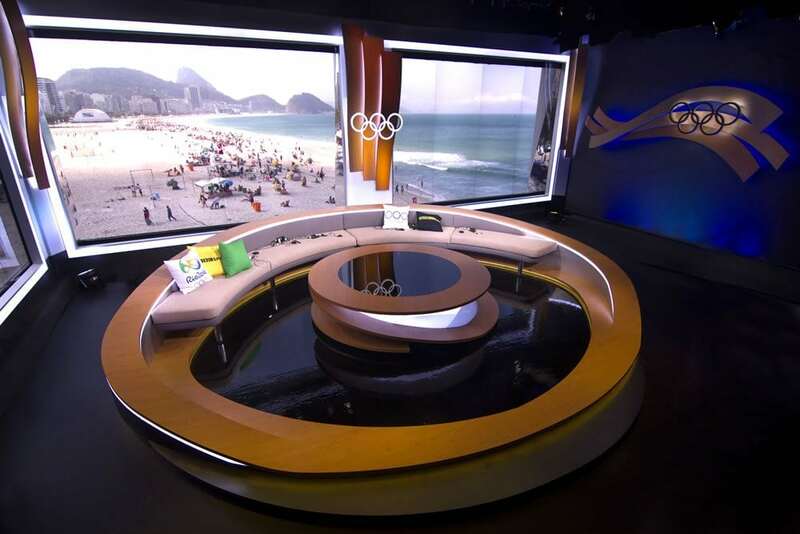 All presenter desks were handmade and have colour changing LED lighting. Our UK team flew out to Tanzania to build the sets. This included specialist floor layers, carpenters, decorators, electricians and project managers. We worked with a local AV crew to install Samsung TV screens. 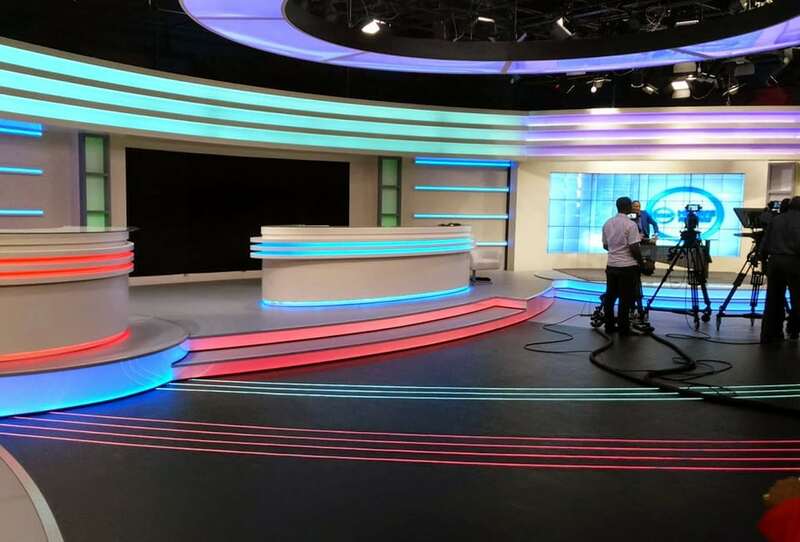 His Excellency President J.M Kikwete opened the NEW Azam TV state of art, latest tech TV studios in Tanzania. Azam TV started to broadcast almost a year ago but it was launched officially by president Kikwete. According to Tido Mhando the private studios is worth 56 billion. 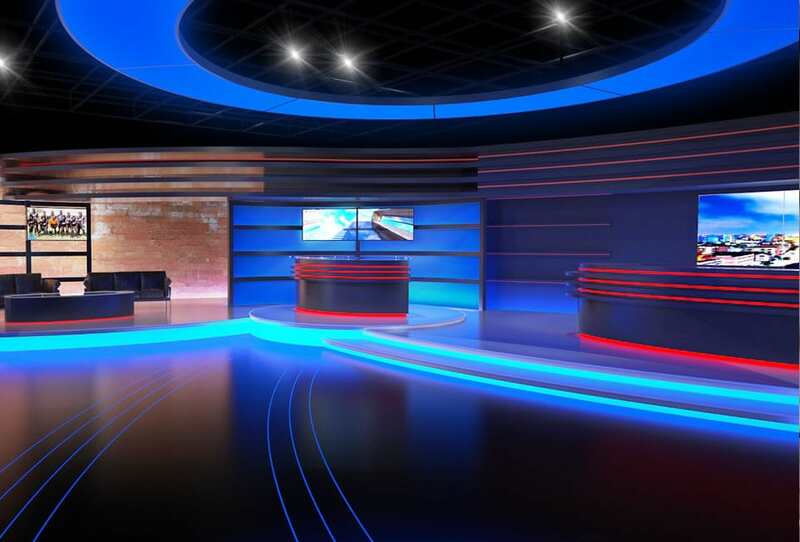 The studios broadcast entertainment, sports, and more. 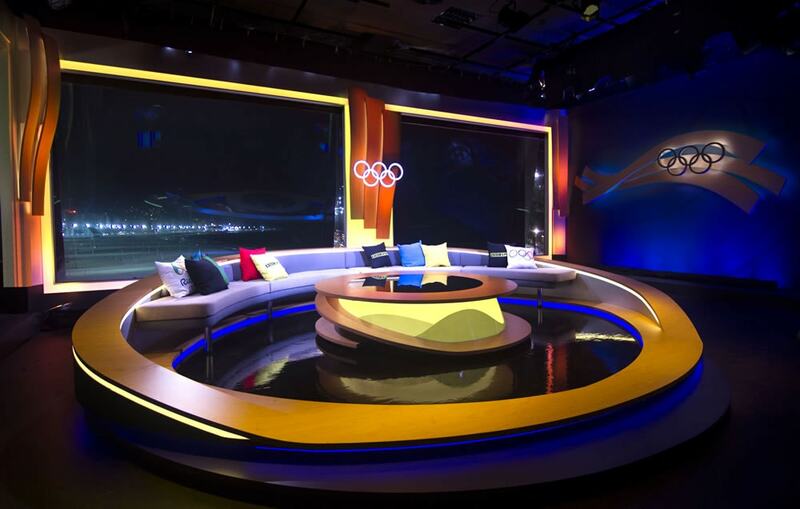 TV set design is crucial if you want to create the perfect environment for your presenters to thrive in and your audiences to stay engaged in. 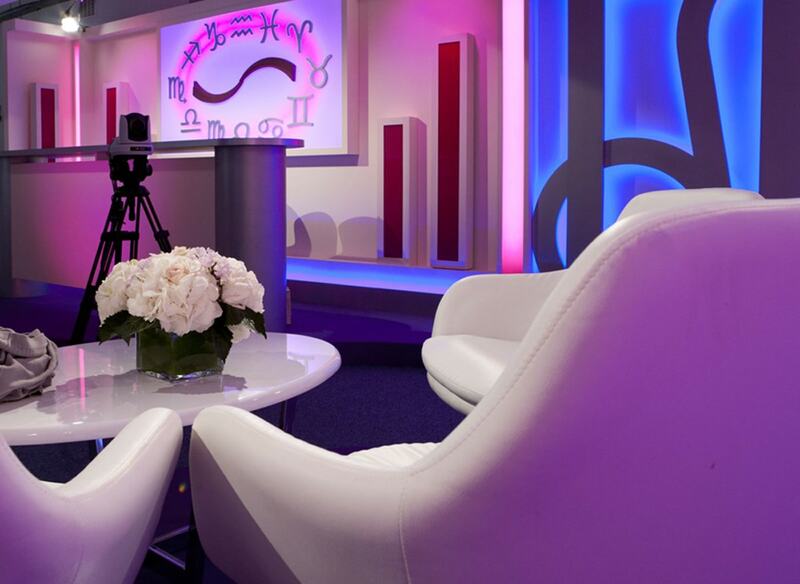 With our decades of experience we are able to bring fresh skills and ideas in to the TV production industry. 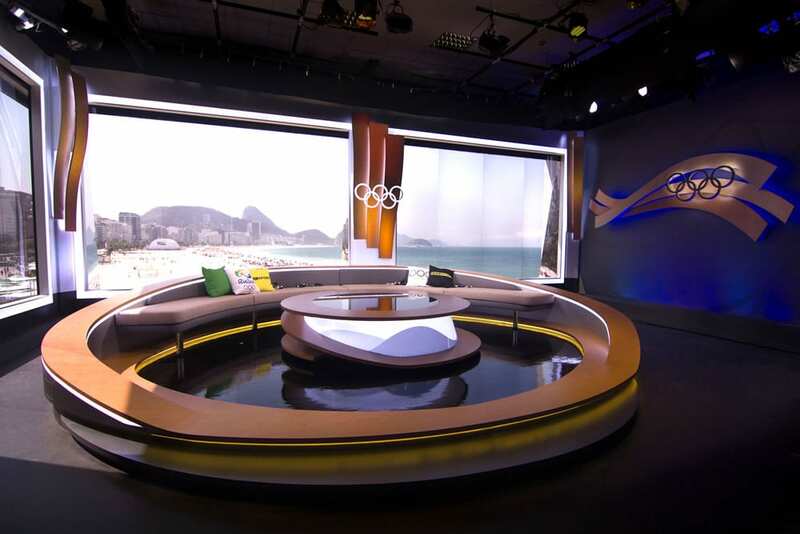 We’ve got some more images from our TV Studio Set design for the BBC to live broadcast their coverage of the 2016 Rio Olympic games both during the day and at night. 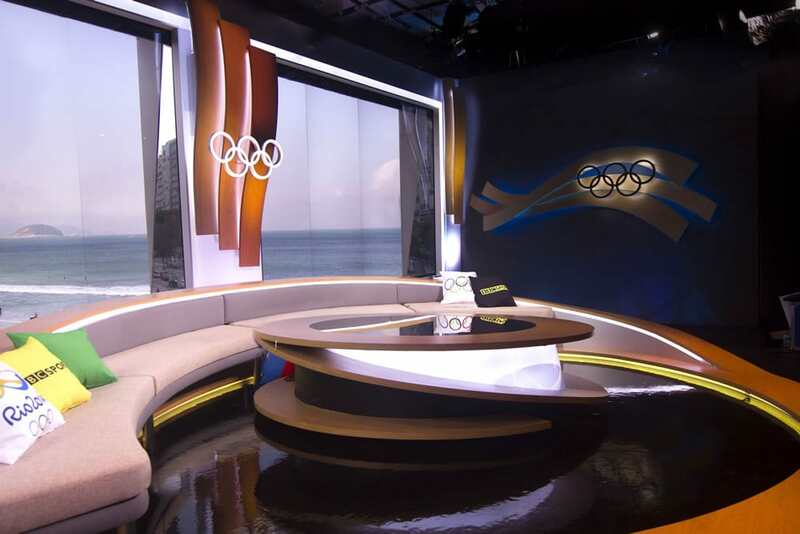 As you can see from the pictures we created an ultra modern TV set that mirrored the Olympic Rings theme and with the impressive beach backdrop was an iconic part of the BBC’s Olympic coverage! 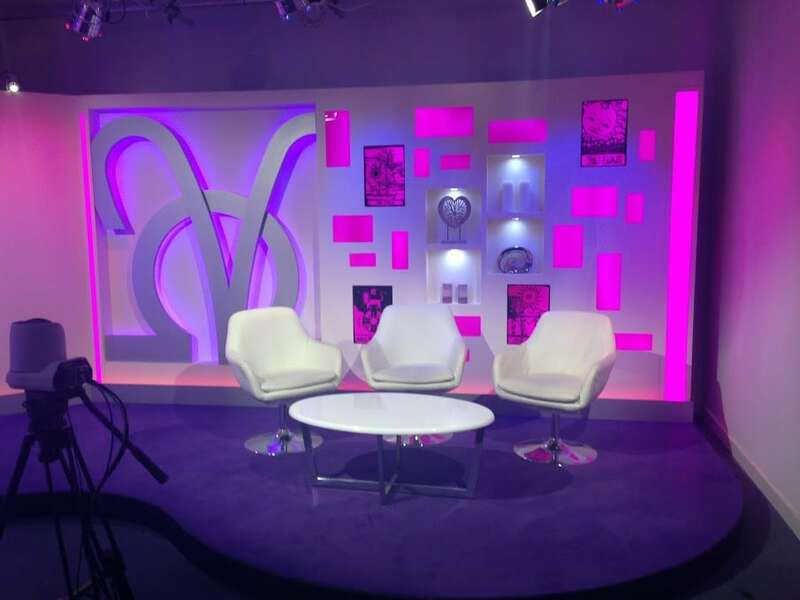 You can also see a gallery of images from a recent TV set design project (Psychic TV) we undertook in conjunction with the specialist designer Giordano Design. The set was designed in-house at our workshops, prior to being shipped and constructed on-site. The advantage of this was our client could see the set, prior to the installation itself. Call us now and ask to be put through to Ricky to discuss your set design needs. 01403 785 113. NB: The Psychic TV set design was by Giordano Design.